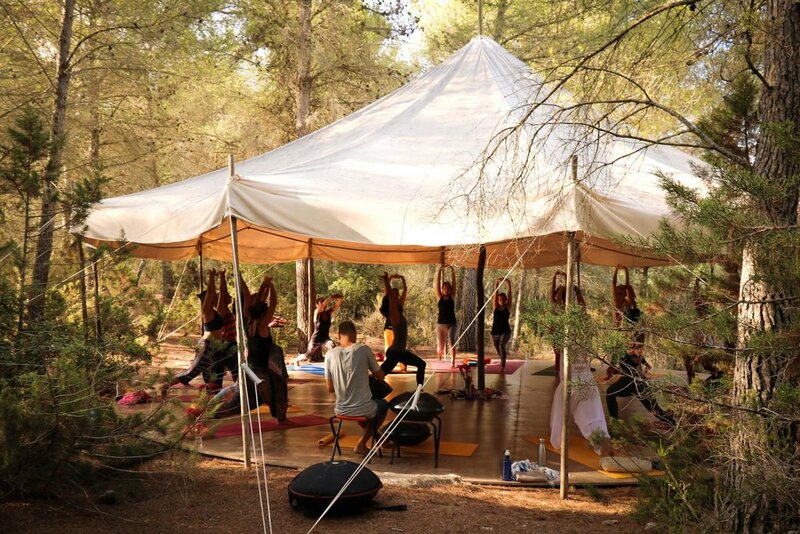 All morning and afternoon sessions are held outside on the roofed platform in the midst of a pine forest. 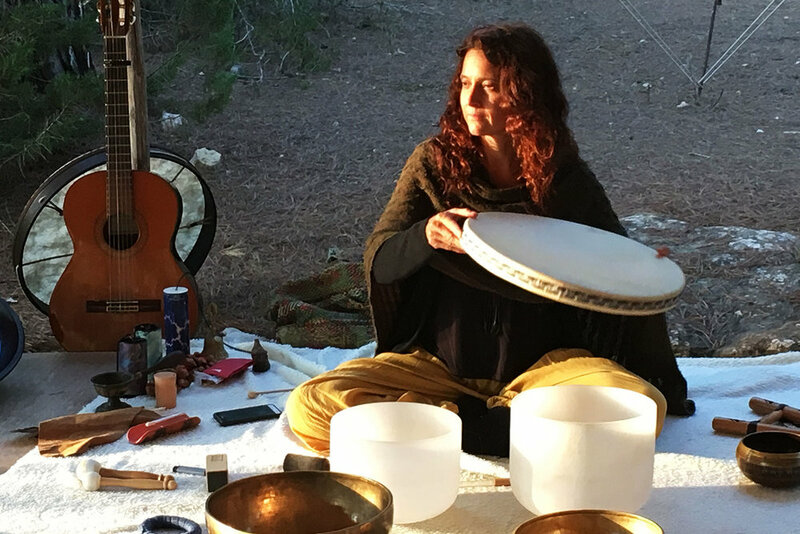 Sometimes, we move to (live) music, sometimes to the sound of nature, sometimes, we are guided, sometimes we move freely – but we are always connected by the intention of cultivating a deeper understanding of the voices in our bodies and our hearts. 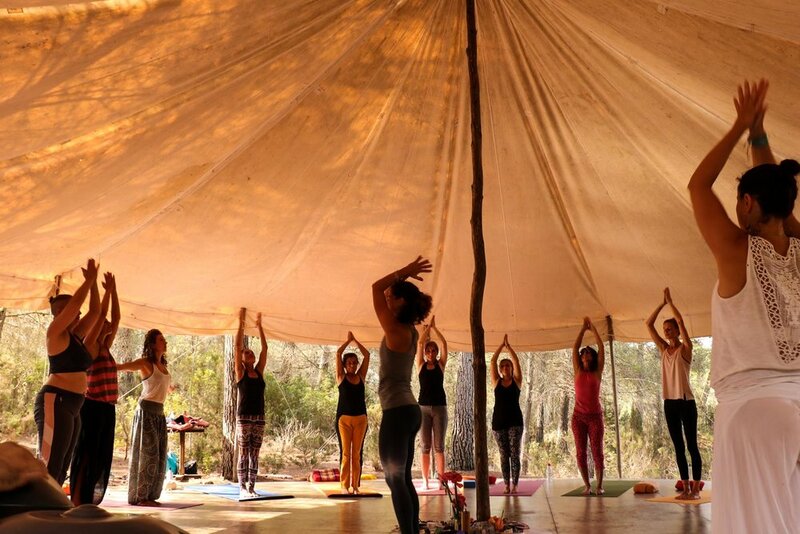 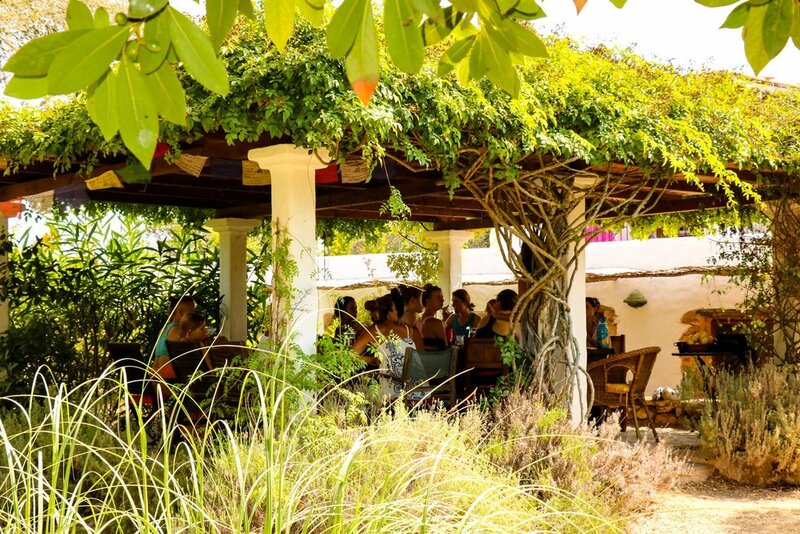 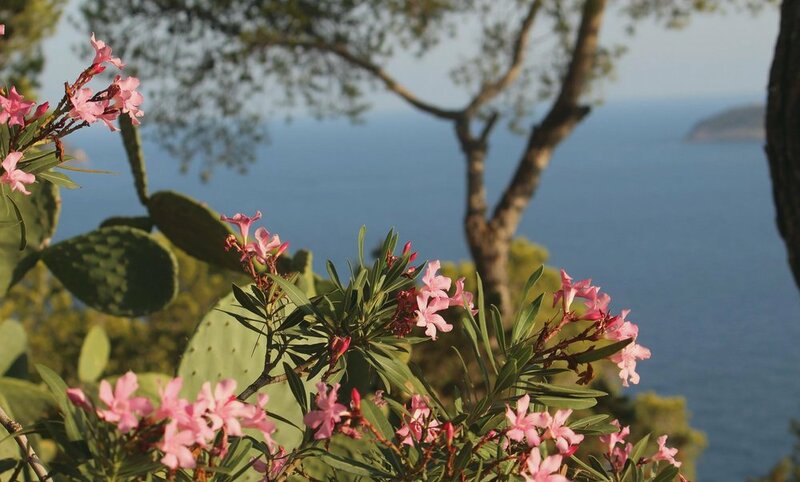 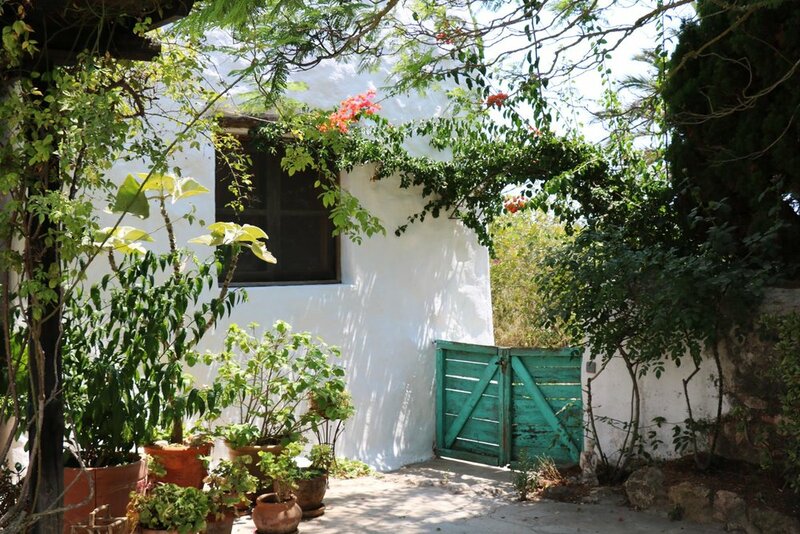 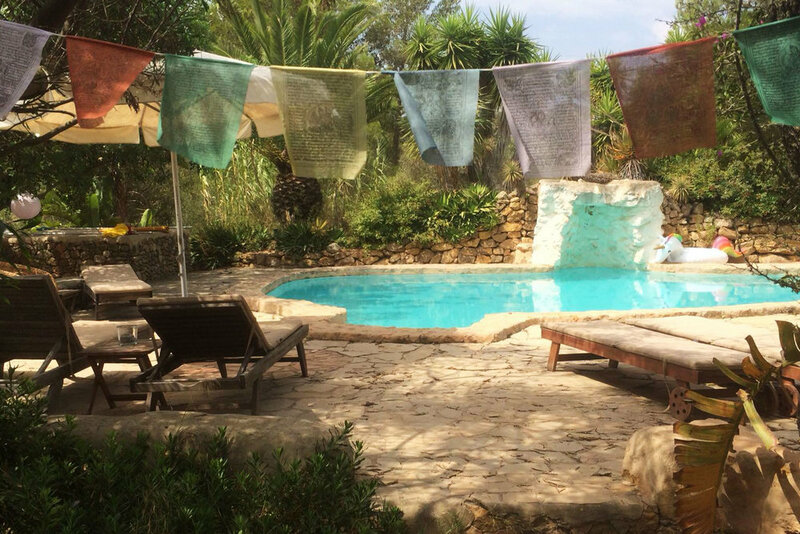 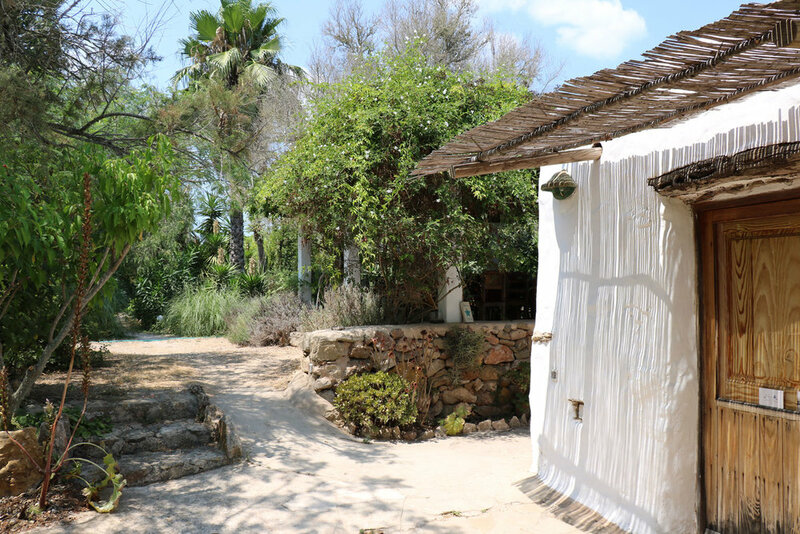 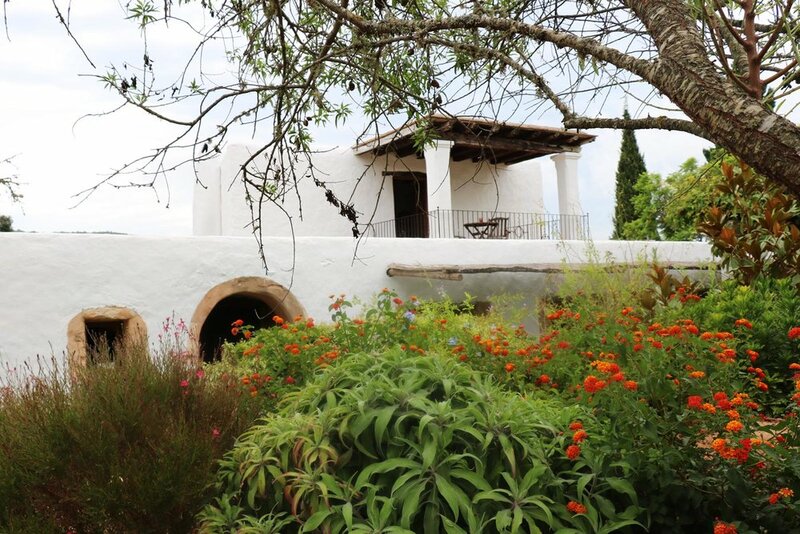 The Ibiza Moving Arts offers an optimum framework: in the midst of a beautiful garden and pine forest, in the north of the island, between Miguel and San Lorenzo, we can find our 400 year-old, rustic Finca surrounded by Mediterranean landscapes, far from traffic noise, city lights, and our everyday hassle. 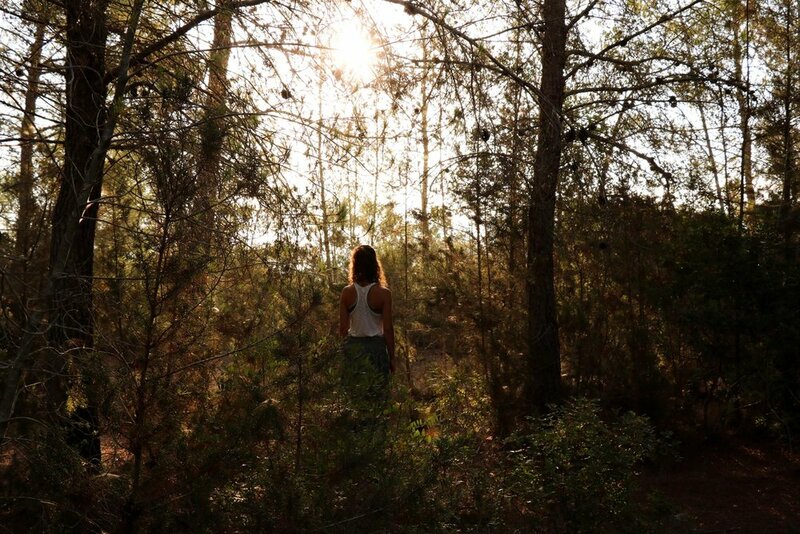 A place of silence, kindness, and warmth. 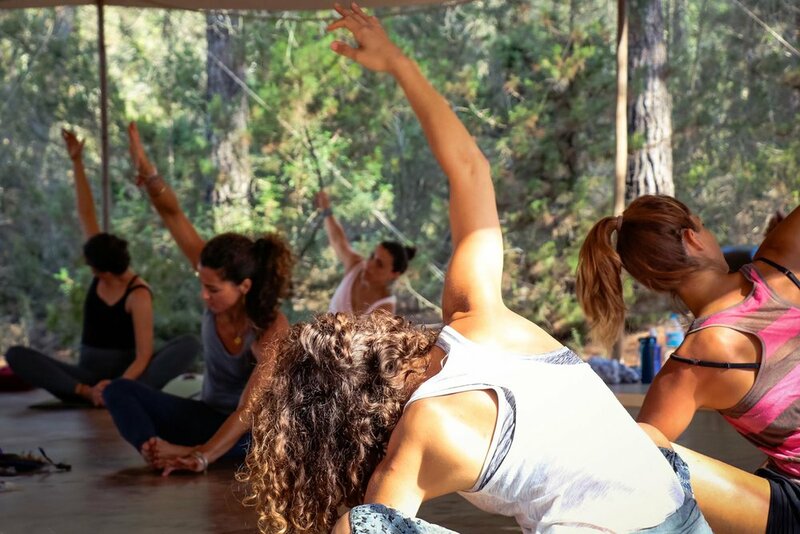 Our Women's Soul Motion™ & Yin Yoga Retreat is an invitation to free ourselves to be present and to experience ourselves in full blossom. 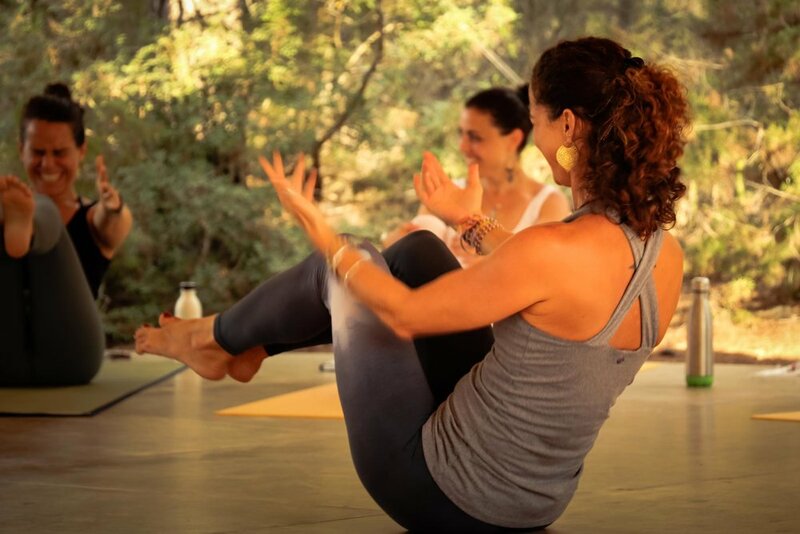 This retreat sparks our ability to connect on a deeper and more intimate level with ourselves, others, and nature. 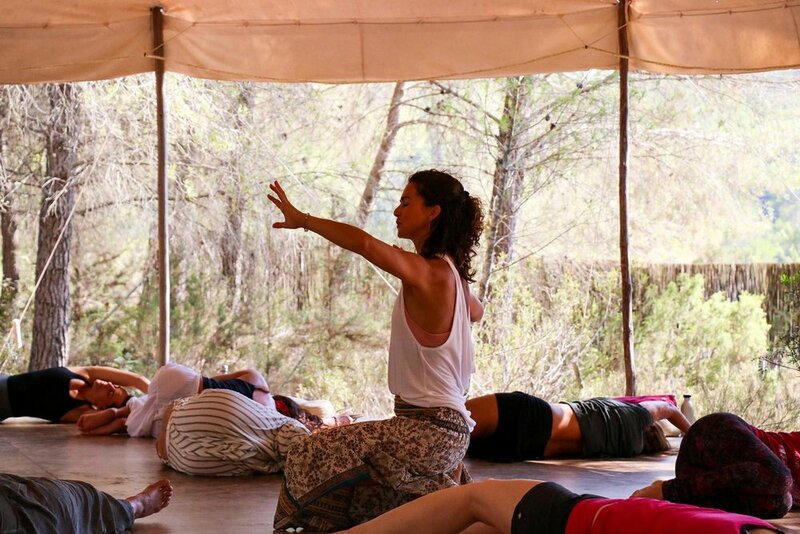 *Early bird rate for applications received by May 15, 2019: plus a 30 minute private session with Saskia Schreiber. 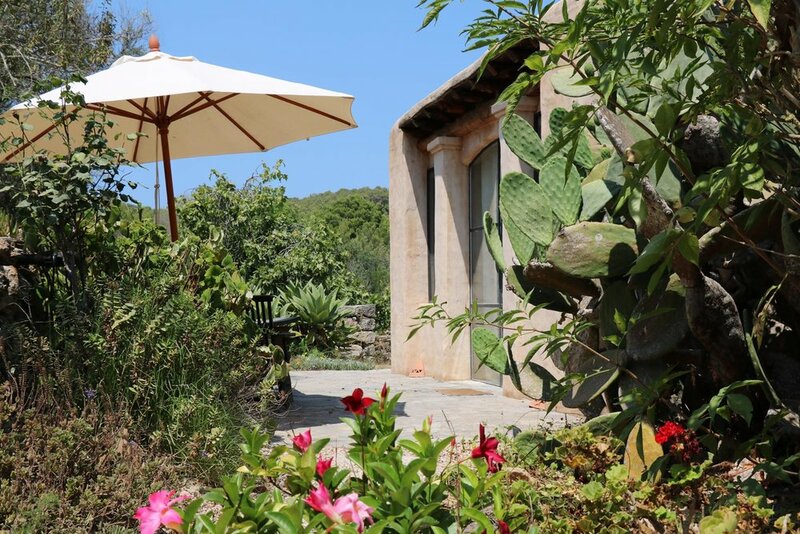 For applications received after May 15, 2019: room type plus 50 EUR. 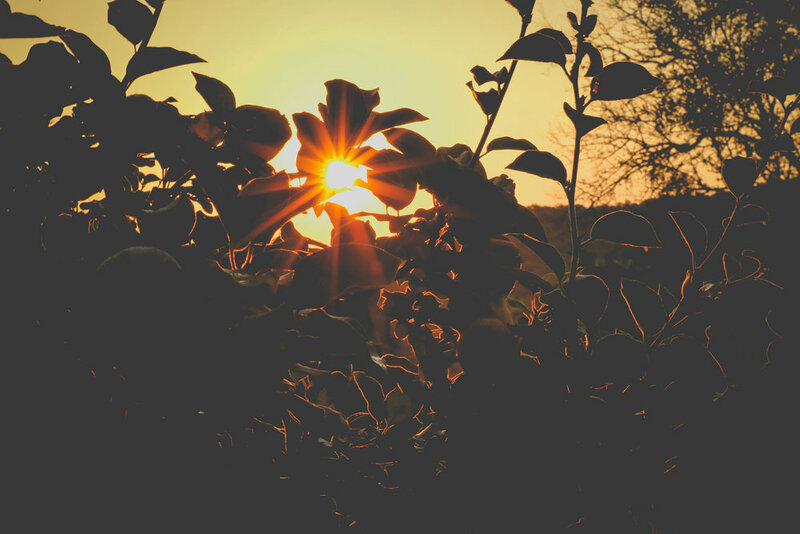 Retreat preliminary and debriefing meeting in Düsseldorf, August 2 & October 18, 7 to 9 p.m.
All double rooms are only rented as double rooms. 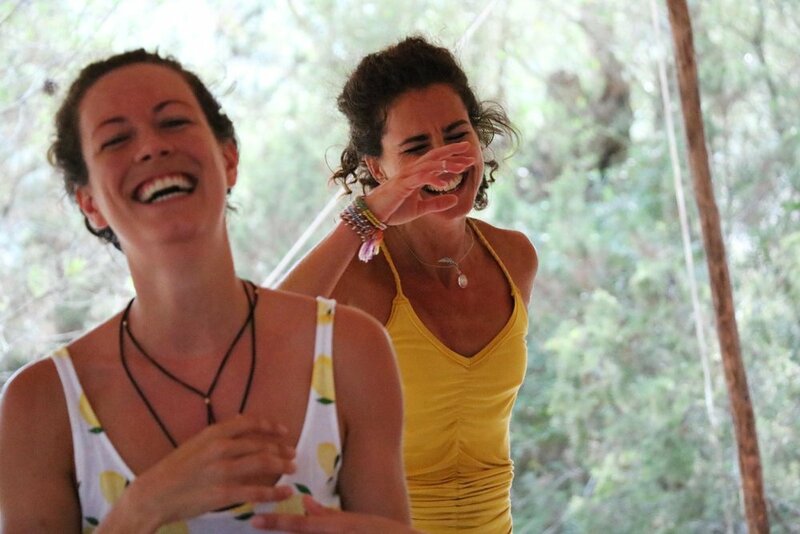 The retreat will be accompanied by Daniela Kampka who takes pictures of chosen moments and sessions. 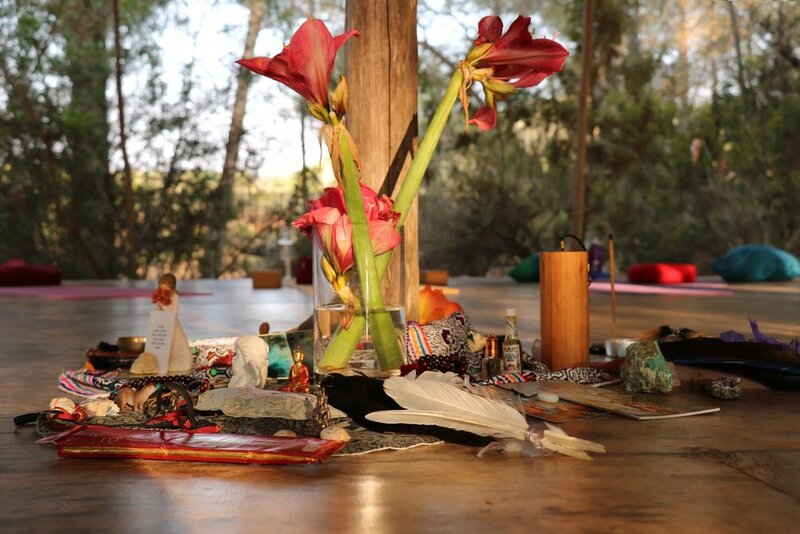 A choice of pictures will be available for download and private use after the retreat.